Today I have a Cheltenham bet from a tipster who made 65 points profit at last years festival and who set up the year for many of his members. The bet is one leg of a yankee and if you want the other three legs there are details of a very special and cheap offer at the end of this post. The four bets together will pay £29,248 for a 50 pence each way yankee if he pulls this off! 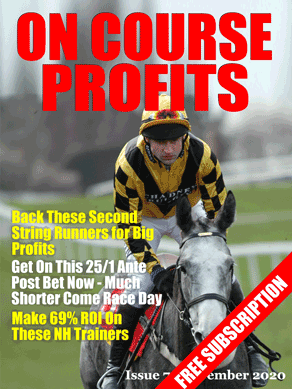 The Value Backing service is in great form at the moment and is already 33 points up for 2015 with a 118% ROI. There have been winners this year already at 20/1, 18/1, 12/1 and shorter. When it come to ante post betting at Cheltenham one of my favourite angles is to look for something out of the ordinary in a previous performance. Way back in 2005 I remember watching the great Kauto Star on just his second start for Paul Nicholls. He went through the race cruising in second gear only to fall at the second last. Back then a jockey could remount and Walsh having seen the winner go past him got back onboard and only just failed to win in a photo. Now the opposition may not have been world beaters, but that dramatic race indicated to me that Kauto could be something special and so it proved ! Now back in January this year at a cold damp day at Wincanton See The World put up something akin to that Kauto performance. He basically stopped to a walk 2 furlongs from home having taken up the lead and then hung left. What happened next is something I have never seen in a race. He started running again having given the ones that went by him 15 lengths start, caught them up and then breezed on by the runner up in the final 100 yard to win by 4 plus lengths and I was gobsmacked ! It is all well and good giving a few lengths or so away at the start of a race, but 2 furlongs out, that should not have been possible. Now again he may not have beaten much, but that performance was something out of the ordinary and as such I had to back See The World. He may well be a world beater only time will tell. But whatever happens at Cheltenham that performance at Wincanton is something I doubt I or anyone else will see again any time soon. Carl Nicholson and Value Backing members cleaned up at last years festival with a whopping £653 profit to £10 stakes, with many members staking and winning much more. This year you can join him on a special package for Cheltenham 2015. The Value Backing ante-post Cheltenham Yankee, pays £29,248 for a 50 pence each way stake – the sooner you join the bigger the prices you can get! The price is just £20 – Click Here to secure your place now. It's been almost a year since I last wrote about Dobbing. Dobbing stands for Double Or Bust. The idea is that you back a horse before the race, and then lay them off in-play to make double your stake. If you don’t get matched in-play then you lose your stake. But finding the horses that reduce enough to make double your stake is very time consuming and tough. If you’ve ever tried, then you’ll know how hard it can be. I recently came across a new system that shows you how to find DOB bets simply, quickly and with no previous form reading experience. They’ve even adjusted the original DOB to make it one of the most risk-free bets you can place on a horse. It’s usually around this time each year that I start to take a look at the ante-post markets for the Cheltenham festival and I have a couple of interesting types who I will be backing now at value prices. We will also take a look at some of the feature races over the weekend and we have a couple of interesting runners from today’s cards. There is a lot to like about Value At Risk and his chances in the Albert Bartlett Novice’s Hurdle despite the fact he was beaten on Trials Day last weekend. He made his racecourse debut when runner up to Very Wood in a bumper at Punchestowns when trained by Phillip Fenton. He then went on to win his next two races before finishing 13th in the Cheltenham Festival Bumper. This was followed with a fine 3rd at the Punchestowns Festival, beaten only by the Cheltenham bumper 1-2 in the shape of Silver Concorde and Shaneshill. Value At Risk was then acquired by Harry Skelton and hacked up on his hurdles debut before going down narrowly to Ordo Ab Chao at the weekend. He stayed on stoutly after being passed to suggest the step up to 3 miles will be right up his street. The other horse to catch my eye at the weekend was David Pipe’s Un Temps Pour Tout who ran a blinder to finish just under 3 lengths behind tough-as-nails Reve De Sivola and the race-fit, yet classy, Saphir De Rheu. You could argue that he was getting 2lbs from the winner and 6lbs from the runner up but you need to take into account it was his first run for 266 days and also his first crack at 3 miles. He will strip fitter for his reappearance and there could be any amount of improvement to come over 3 miles. I think the 16/1 currently available will be a lot shorter on the day. On to today and Garde Fou has a decent chance in the 3.30pm handicap hurdle at Chepstow. A runner-up on his two previous starts, the form of his latest run has worked out well with the winner going in again at Newbury. Garde Fou is dropping back in trip here but 2m 4f on heavy going around Chepstow will take plenty of getting and he has an each-way chance. Rocky Elsom is a bit hit-and-miss but he won’t mind the mud flying around and he is another in with an each-way shout based on his win at Lingfield two starts back. In the next race, Loughalder is an interesting runner down in class and down in trip. He is 3 from 4 over C&D and I am hoping this venue sparks a revival after a lackluster effort on his seasonal reappearance. This is easier than the race he contested at Haydock but he is 9lbs above his last winning mark so it will be a speculative punt only for me. I will be covering all of the big races at the weekend over at the Betting School Insiders Club on the Big Race Analysis thread on the Members Forum. Hopefully we can continue where we left off last week. In the five races we covered we picked out winners at 10/1 and 9/2 to go with two runners-up at 6/1 and 10/3 and a third placed finisher advised at 12/1 each-way. One of the races we will be covering is the West Wales National at Ffos Las on Saturday. I put up Global Power as 1 of the 2 selections for the Welsh National at Chepstow but he was not declared at the 48 hour declaration stage. He has an entry for Saturday and I am hopeful of a decent run. He has some form over staying trips including a 4th placed finish in 2013 Midlands National, a win in the Cumberland Handicap Chase over 3m 2f on heavy ground in 2013 and a 2nd place finish in the same race 12 months later. Two starts back he was beaten a neck by Theatrical Star who has since run a fine second to Hawke’s Point in a Grade 3 at Warwick. When it comes to training thorough stayers, Venetia Williams has few peers. She has three entered at the time of writing and the one I like is Royal Palladium who fell last time out attempting run up a four-timer in a race won by Firebird Flyer. Royal Palladium was leading when he fell three from home and he meets Firebird Flyer on much better terms this time around. He has a nice racing weight of 10st 8lbs and that might count for a lot when you consider the first three home last year carried 10st 5lbs, 10st and 10st 1lb.